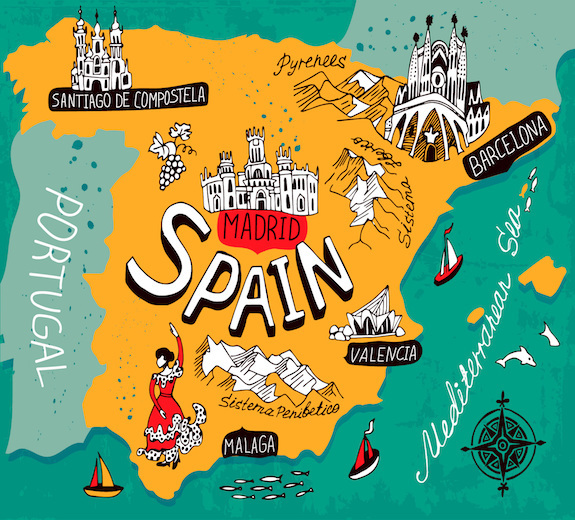 Spain has about 50 different provinces for you to choose from when deciding on your vacation destination. No matter where you go in this country, you really can’t go wrong! But, because it is a slightly overwhelming decision if you’ve never been there before, we’ve put together a list of 17 Spanish cultures you didn’t know about. Exploring 17 diverse regions of Spain will help you get a feel of what’s out there waiting for you, and hopefully, make your decision a little bit easier when something catches your eye! When you think of Spain, you think of places like those you’ll find throughout Andalucia. 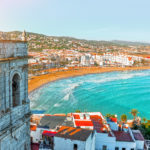 There are some of the most beautiful beaches and whitewashed villages riddled throughout the region, which includes Seville and Costa del Sol. Aragon isn’t normally on the list of places to go for people that travel to Spain, but if you’re looking for some of the most breathtaking natural beauty that can be found in the country then this is definitely the place for you to go! It’s home to the Aragonese Pyrenees, and plenty of ski resorts and villas for you to call home while you’re there. Have you ever heard of Costa Verde and its golden beaches? 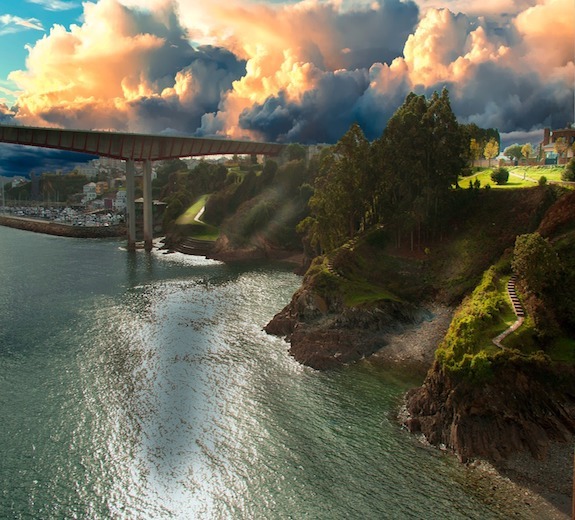 You’ll find it in the north coast region of Asturias! Here is where you’ll find the Picos de Europa National Park, Oviedo and Gijón, so there’s certainly no shortage of places to explore! 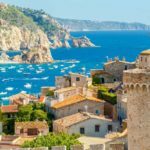 Some of the most popular tourist destinations can be found in the Balearic Islands, from the well-known Majorca and Ibiza to the lesser-known Formentera. All of these places are worth mentioning, and visiting, so if you love sand between your toes and a drink in your hand with some good company to be found anywhere you go… this is it. If you want something a little different from the typical Spain you may hear about, then head over to the Basque Country. It borders France, and despite being part of Spain it’s basically its own little island with a flag and unique language to set it apart from anywhere else in the world. The Canary Islands are 13 volcanic islands that have some of the most scenic landscapes in Spain! This is one you’ll definitely want to pack the camera for, since you’ll be able to discover a pretty much unlimited number of photo opportunities. The capital of Cantabria is the port city of Santander, home to cave paintings that tell over 15,000 years of history. But, even if the history doesn’t attract you to the area you’ll find plenty of beaches to frequent! The second largest region in Spain, Castilla La Mancha is where you’ll find Toledo, an up and coming tourist destination that has museums and Renaissance buildings for lovers of art and history alike. Set within a mountainous landscape is Castilla y Leon, a different little city-esque area that has plenty of culture and history to showcase Spain’s unique charm. 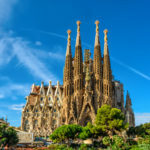 It’s not going to be as busy as some of the larger cities like Barcelona, so if you like a city with beautiful sightseeing and less crowds to push through, this is the one for you. Barcelona is situated in Catalonia, so it’s a very popular tourist destination! 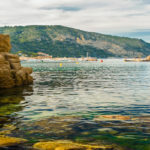 You’ll find Costa Brava and other amazing beaches here, in addition to fantastic night life and shopping. If you’d like a different side of Spain, then go to Extremadura. The region may not have beaches, but it does have lakes set within a landscape of mountains and forests that will instantly make you feel at home. Mountain ranges and rivers with a temperate climate make up the region of Galicia. It’s a perfect vacation destination for lovers of nature, with a fishing port that has some of the freshest and most delicious seafood. Were you thinking sangria when you picked Spain as your next travel location? Then welcome to Rioja! It doesn’t necessarily have sangria, but it has more wine than one person can probably drink in a lifetime, so come here for tastings in over 500 wineries. The country’s capital, Madrid has a stunning backdrop and an exciting mix of Spanish history, culture and tradition; but, that doesn’t mean you’ll have to miss out on nightlife, because it has that too! Murcia is known for its many days of sunshine that can be soaked up on its many beaches. But that’s not all! It also has plenty of activities for the adventurer to enjoy, from cycling to golf. Navarra is a very green area, with plenty of attractions for outdoor enthusiasts that enjoy walking or climbing. It’s also where you’ll find the Running of the Bulls in July! Ever wondered where paella was born? This is it! 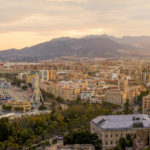 So if you’re looking for some of the best paella in Spain, be sure to stop by Valencia, where you’ll also find plenty to do along the Mediterranean coast.